The State of Discontent: Awesome Willpower? Tooth Pain? Or Motherly Love? I gave four of them to my husband, even though he kept an entire box of Samoas for himself. And I just gave the last one in the box to my son. OHhhh I LOVE those things. As does my boy. So he is easily bribed. Mmm ... crumble those up on some ice cream and it's heaven, baby. 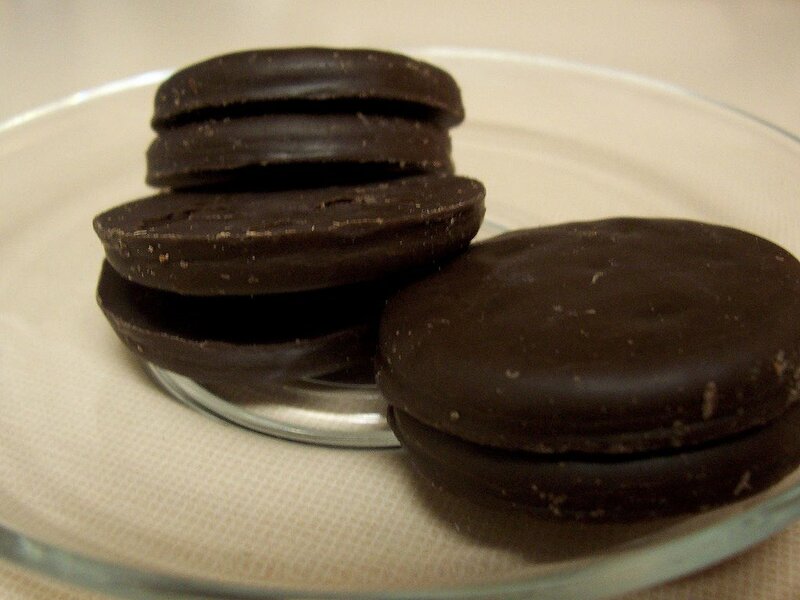 We've had those in the house for months, we keep buying more from the girl scouts who are selling them outside the grocery stores, but I'm pretty sure they're all out. So we're making the last of them last. It's that freakish phenomenon called wife/motherhood. It's your version of providing for your family. And it'll keep your hips a nice normal size. Maybe it's just biological, how women have had to give up their Girl Scout Thin Mints dating back to caveman times so they could stay in shape to be able to outrun their cave roommates when they were being chased by saber toothed tigers. Or maybe it's just love.